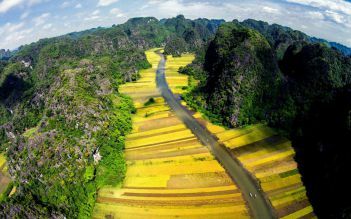 The Trang An Tourism Complex in the northern province of Ninh Binh was officially included in the world heritage list on June 23 by the UNESCO’s World Heritage Committee. 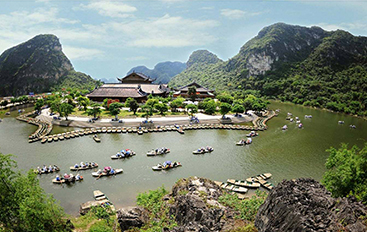 The eco tourist attraction located in the East of Ninh Binh, with area of 2000 ha, is divided into 5 function parts: special protection area (Hoa Lu Ancient Capital), the centre, caves area, service and travel area, spirit area Bai Dinh Pagoda. 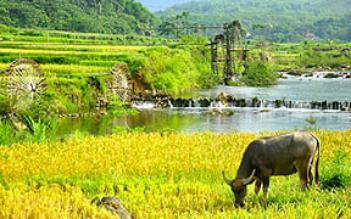 With Bai Dinh - Trang Anh tour in Ninh Binh, you will be visited all these destinations. 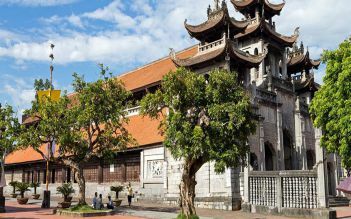 08.00: pick up at your hotel in Hanoi city by private transfer to depart for Ninh Binh province (120 Kms).Start tour Trang An - Bai Dinh Pagoda. 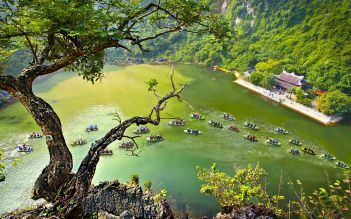 13:00: Depart to visit Trang An tourist attraction, take boat trip to visit cave complex: Sang Cave, Toi Cave, Ba Giot Cave, Nau Ruou in mystery and wildness, see scenery of mountain and rivers Halong on land of Ninh Binh. The itinerary can be changed due to weather, tide levels and operating conditions. Special request (diet or vegetarian …) should be sent before your departure date. Fantastic tour Really cool tour! loved the short ride with the bike and the boat trip which took about two hours. 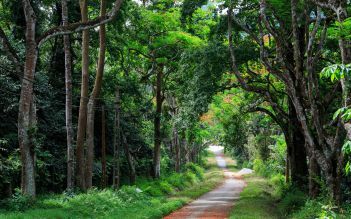 big recommendation for nature lovers to escape from crazy hanoi for a day trip. 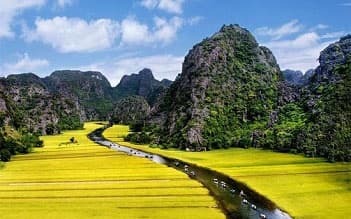 We booked this trip the night before 2 days, and can't imagine our trip to Vietnam without it. Our tour guide was great, knowledgeable, efficient and friendly. Rowing through the caves was the highlight, but everything was beautiful. Well worth it. Our guide and the driver were most accommodating. 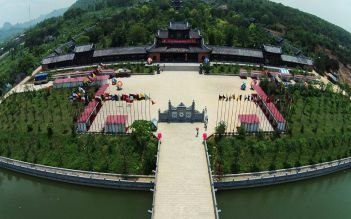 As it was a private tour, the tour particularly the Bai Dinh area felt personalized, we went to the old cave temple which we understood mostly locals go to. 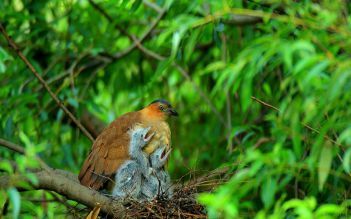 We opted for the two hours Trang Anh boat ride which turned out to be three hours - however it didn’t feel like three as we were enjoying the beautiful scenery and caves. At one point there was live Vietnamese music played in the middle of the lake.